Starting 2019, the digital energy meter will gradually be rolled out in Flanders. This will affect the profitability of PV installations. 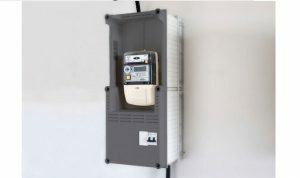 The current net metering regime with prosumer tax will be replaced by a system where owners of PV installations would still be allowed to use net metreing except for the distribution grid tariffs. In terms of total costs to the owner of the PV system, this system would be identical to the prosumer tax. Even better, if the amount of self-consumption could be increased, the amount of levied tariffs would decrease. This is means that SMEs, who typically have higher levels of self-consumption compared to household installations, would even see an improvement of one to two years in payback time of their PV system. However, this newly proposed system has become doubtful. As a result of the complex federal structure of Belgium, the Flemish government only realised after the publication that it could not guarantee the possibility of this new tariffing scheme. The worst case scenario is a scenario without net metering. Although this would negatively affect the profitability of PV installations for households this would have a negligible impact for most SMEs. You find more information about this topic here.